Society for the Appreciation of the Lowly Tinned Sardine: Grandpa? 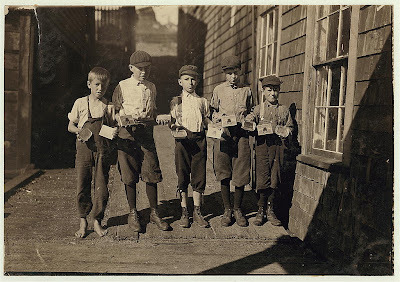 Some of the cartoners, not the youngest, at Seacoast Canning Co., Factory #2. 1911 August. Location: Eastport, Maine. Photographer: Hine, Lewis Wickes, 1874-1940. From the Library of Congress. Click pic to expand.